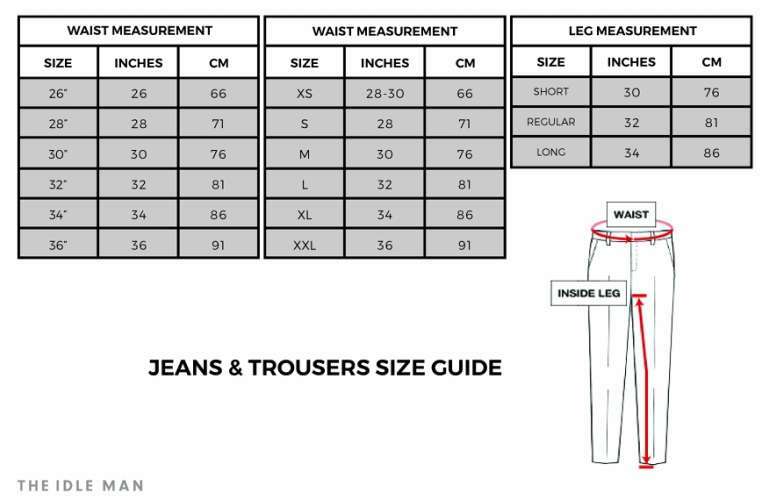 Choosing a pair of trousers to suit your body type is an extremely important part of any outfit. Men come in lots of different shapes and sizes and finding the right fit can be a lot trickier than it first appears. Here are the best trouser styles for your body shape. If you've got chunkier thighs then wearing skinny or slim jeans probably isn't the best idea. 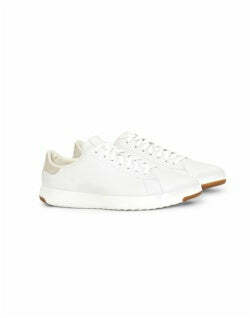 The tighter design will emphasise your legs and make you appear out of proportion. 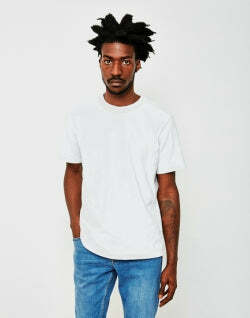 Instead, the best jeans for thick thighs are straight or tapered jeans. Tapered denim will give you plenty of room around the thigh whilst still tapering down from the knee, making them a better fit. If you can't find jeans that fit you well, go for a pair that fit in the most 'problem' area and get the rest of the jean altered to your shape. This shouldn't cost you too much, either. Much like if you have bigger thighs, tapered or straight cut jeans are probably the best option if you've been hitting the gym. The balance between showing off your muscles and appearing disproportionate can be tricky to get right. 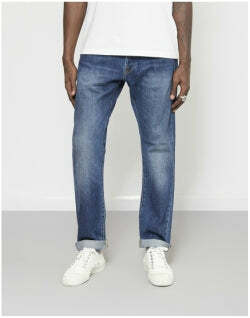 The best tapered jeans for big thighs will be looser around the top and thin out towards your ankle, giving you enough room to move without being too baggy and ill-fitted all over. 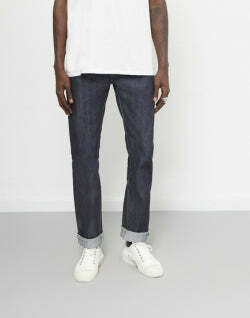 If you're lucky enough to have athletic legs then stick with slim fit jeans. Although you could wear skinny trousers, they may appear too tight and become uncomfortable. Instead, slim athletic cut jeans will give you enough space to move around, whilst still showing off the shape of your legs. The best fitting jeans for men will be ones that have been altered to your personal size, so consider getting this done if you're struggling. Wear your jeans with a pair of trainers to continue your athletic build. 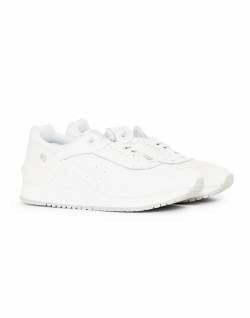 Consider rolling up your jeans a touch when your wear trainers with them. 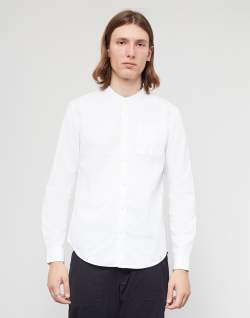 Dress trousers are great for more formal settings such as work or a fancy event. If you're looking for something a bit different from your standard suit, a pair of slim or tight dress trousers can be a great way to add some detail to your look. Brands like Selected are known for producing some of the best slim fit dress trousers around but different body shapes will suit different body styles. Just remember not to go too tight. You'll want to avoid that awful bend-down-and-rip-the-bum-seam situation as much as you possibly can. For a casual trouser choice, try a pair of chinos. 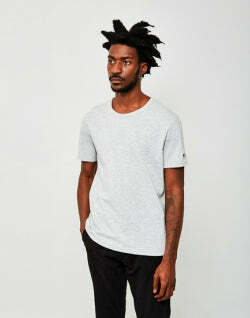 The best chino pants come in a simple colour like beige, navy or black. 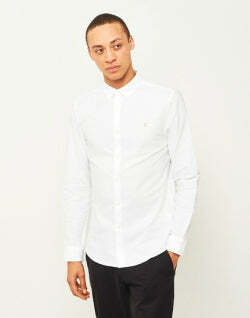 For a great smart casual look try teaming a pair of dark black or navy chinos with a light Oxford shirt. 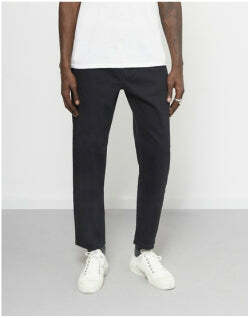 Although slim fit can look good, the wide cut chinos are on trend this season. Finish the look by layering with a lightweight trench coat. 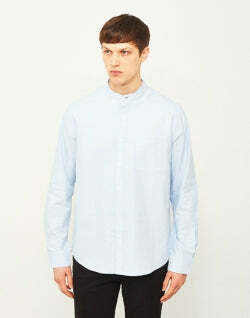 The main thing to take into account when purchasing any item of clothing is the fit. 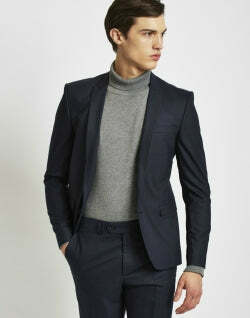 Trousers are an extremely important part of your outfit to get right. If they're too small then you will be uncomfortable and look out of proportion, whereas if they're too big they're going to fall down. The fit can change depending on the style of trousers you prefer and what you need them for. However, knowing your measurements is an important foundation for buying any item of clothing. If you're not confident with doing it yourself then most tailors will measure you for free. Although it's best to buy trousers that already fit you, there are many reasons why you might want to make them tighter. Even though this can be hard to get right, there are several ways you can. One tip is to shrink your jeans in hot water. Place them on a hot water wash and then put them in a tumble drier until they are completely dry. However, be careful as you don't want your jeans too tight. Another top tip is to take your trousers to a tailor and get them altered. Although this can be a bit pricier, it's the best way to effectively make your trousers tighter. If you're feeling brave then you could try and alter your own trousers with a sewing machine. Skinny jeans look good on men with a smaller frame. Just make sure they're not too tight that they're uncomfortable and make your legs too skinny looking. For wider thighs, stick with a straight leg or tapered trousers. These will accentuate all the right areas. 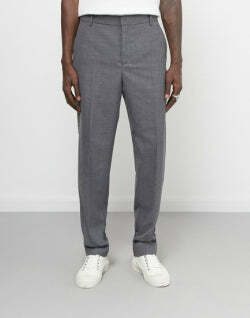 Dress trousers are great for formal situations. 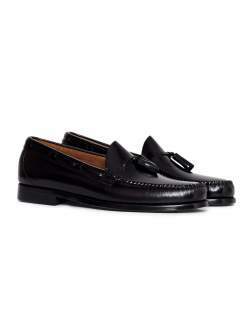 Try them in a slim fit for some extra detail and pair them with some loafers to finish the look. 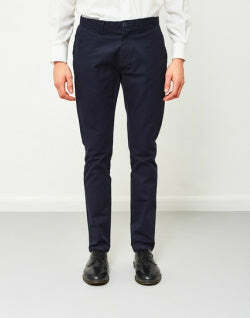 Chinos are the ultimate smart casual trouser and are great for a more relaxed work outfit. 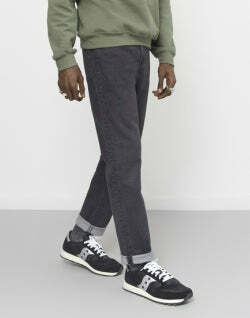 You can wear chinos all year round in many different colours, making them a staple. Trousers are one of the most important elements of any outfit. Despite what you might think, getting the fit and style of your trousers right can have a huge effect on the success of your look. 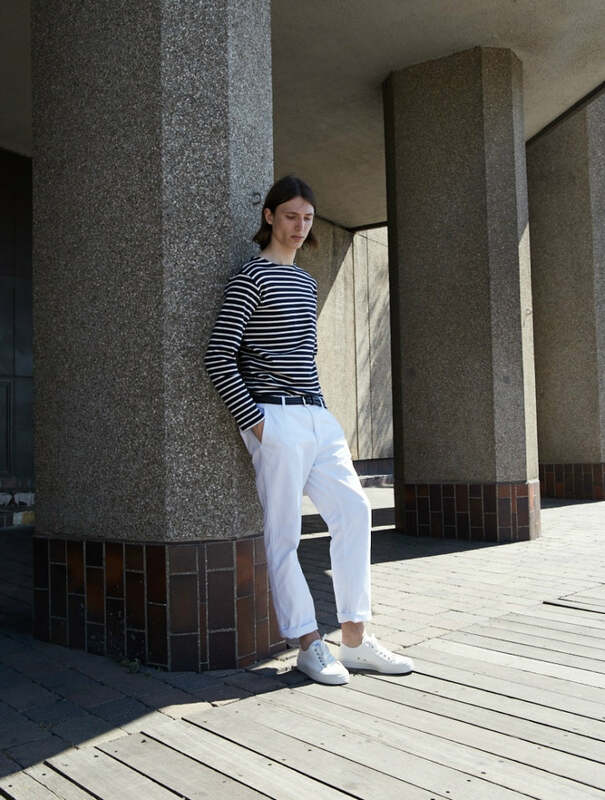 Whether you're after some casual skinny jeans or some more formal dress trousers, there's something for everyone. A well-fitted pair of trousers will always look good, no matter the style.